It's nice to get away sometimes. Leave the stress behind. Focus on what matters. We have travel opportunities for you. Strengthen your marriage. Deepen your faith. Dig into Scripture. Sound nice? Join us on our next God-centered get away. 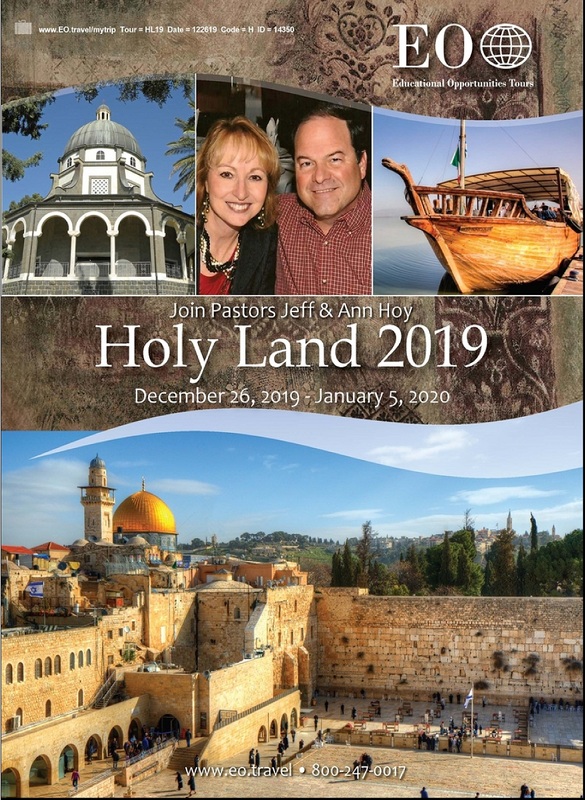 JOIN PASTORS JEFF AND ANN FOR A TRIP TO THE HOLY LAND IN DECEMBER 2019.